Long before the adult coloring book craze, therapists, and social workers often used coloring and art techniques to help clients work through their stress, anxiety, and depression. I often used coloring techniques with my child clients because I found it reduced their anxiety and increased their comfort level. When kids are more comfortable, they’re more likely to talk and express their emotions. …they engage in the ‘here and now’ and practice mindfulness, which can be a very meditative and relaxing process,” Lorain said. 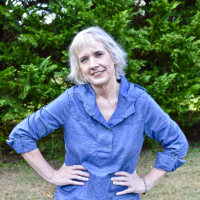 “Because they’re occupied with thoughts such as ‘what color do I use?’ and ‘how should I color this part?’ their right brain can relax and give them a break from difficult thoughts about procedures, their diagnosis, pain and the like. Art is a nonverbal way of processing all of these difficult feelings. Mandalas have been around for centuries and they’re often considered a symbol of the universe or wholeness. In Hinduism and Buddhism, mandalas are a spiritual symbol. Depending upon the religion, certain shapes of mandalas have different meanings. 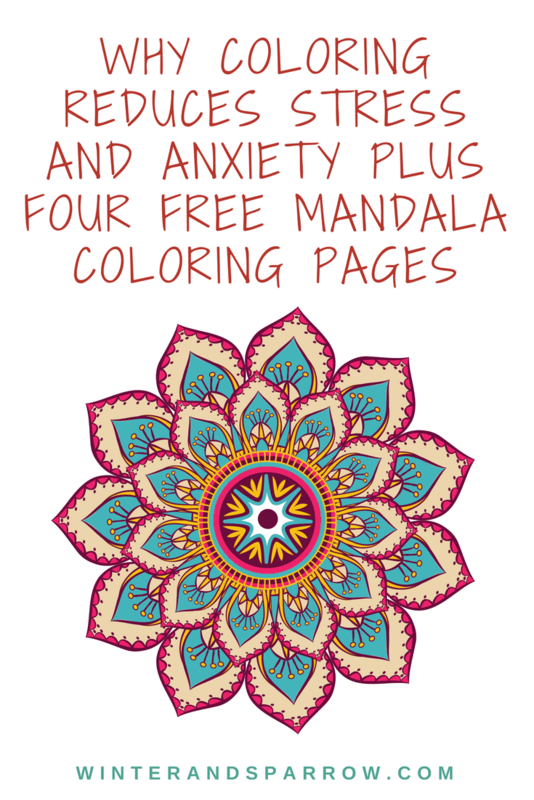 To help you in your journey towards stress reduction and anxiety relief, I’ve created four mandala coloring pages just for you dear reader. Each one includes a motivational or thought-provoking quote. Print them out (cardstock works best) and grab your colored pencils, markers, gel pens or crayons. Sit somewhere comfortable and allow your mind to focus ONLY on the task at hand. Don’t worry about perfection or coloring outside the lines. 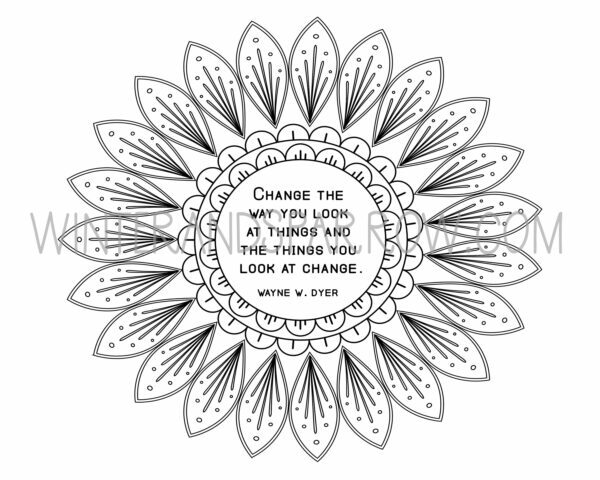 Allow yourself some time to ponder the quote on the coloring page. Does it apply to you? How does the quote make you feel? Does it change your perspective? 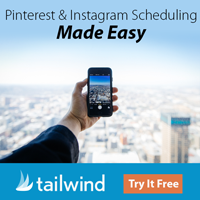 Once you’re done, you should feel relaxed and less stressed. 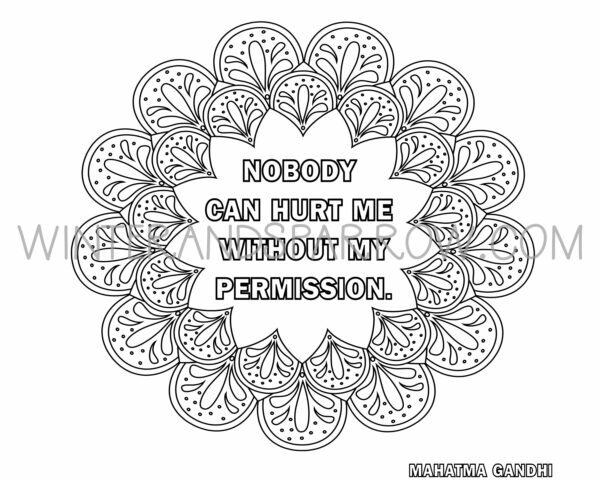 Click the download link under each mandala to download for free. Your copy WILL NOT contain the watermark. 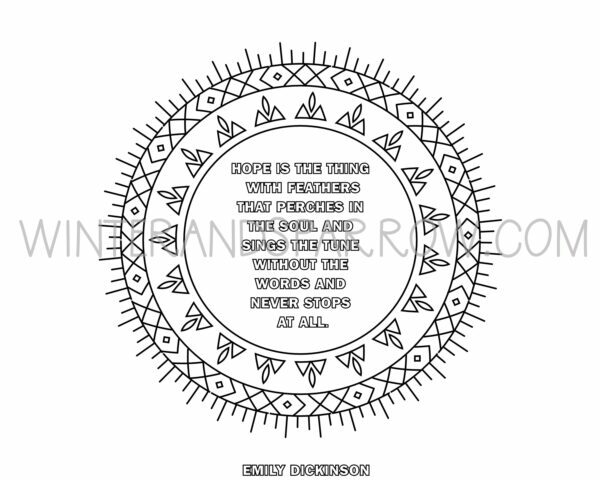 These coloring pages are for your personal use only. Feel free to tag me on Facebook, Twitter, or Instagram with your colored mandalas. I’d love to see them! Preterm Labor: What Causes It? I enjoy making the mandalas a lot. I didn’t understand this passion for coloring but when I did it once I loved it. Now I am an addict. I also like to paint. recently painted my cat very relaxing. I was the same way, Adriana. Now, I love to color mandalas. I’m glad you found a hobby to help you relax. Cats and painting sound like a great combo! 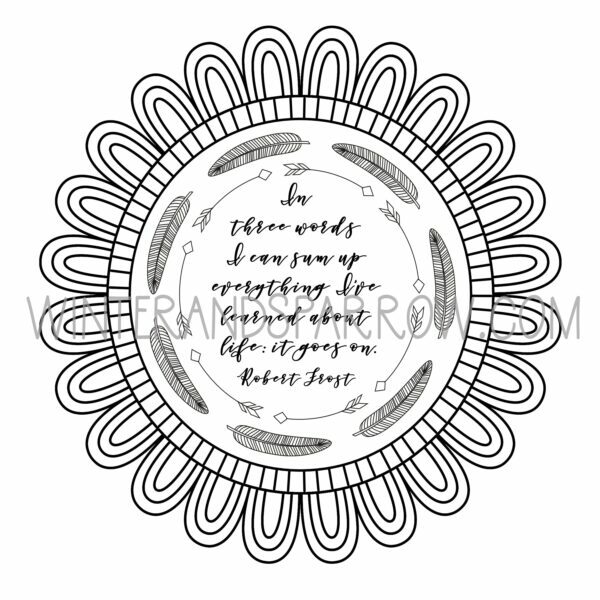 I enjoy coloring and mandalas the designs you have are very pretty downloading now. Thanks for sharing. I love coloring pages, thank you for the freebie! Thank you for these coloring sheets. Coloring definitely reduces stress, but these go a step beyond and give you a “mantra” while coloring. I can see how this could be therapeutic. I think these pages would be great for bringing into work to do during lunch breaks.